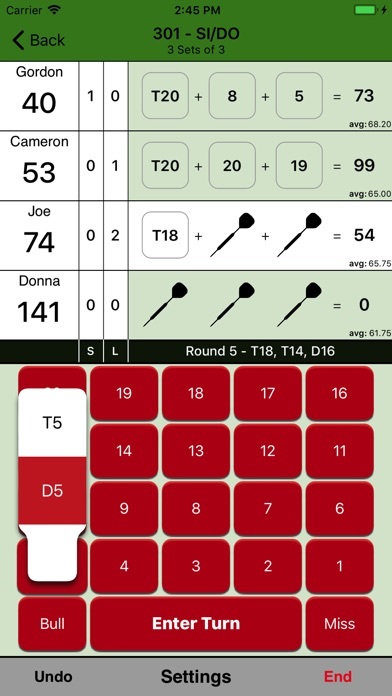 A free and simple scoreboard for Cricket and x01 games. 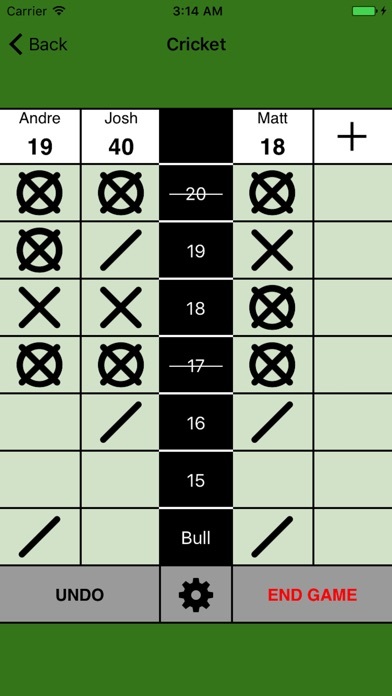 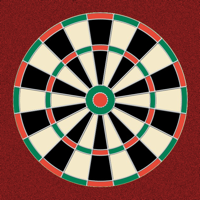 Keep score with Simple Darts so you can focus on the game. 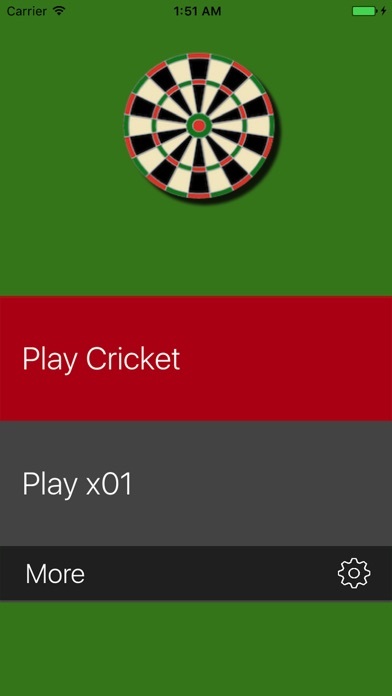 • Cricket game mode includes a Dart Bot so you can play against the CPU, a cutthroat option (recommended for more than 2 players), and an option to turn off points. 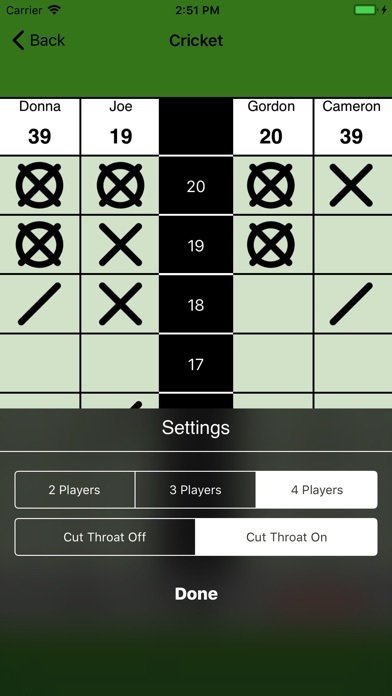 • x01 game mode lets you select between 301, 501, 701, and 901 starting points and includes options for double in / double out. 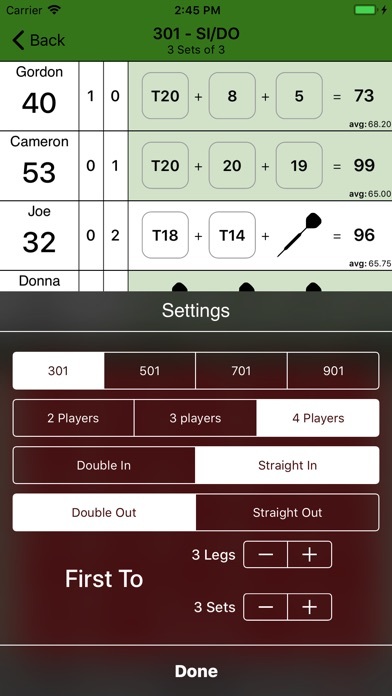 To change the name of a player simply tap on the name in the score section.